...being a witness to God's love by partnering with the community to provide affordable housing to those in need. Escambia County Habitat for Humanity's new house repair program, called "A Brush With Kindness", is aimed at providing painting, landscaping, cleaning up property, and minor exterior repair services to low-income homeowners in need. 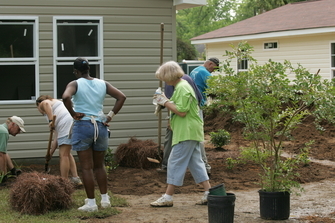 The work is done at a minimal cost to the homeowner by utilizing volunteers and donated materials whenever possible. 1. You must meet low income qualifications as set by ECHFH. 2. You must be a resident of Escambia County, Alabama and have lived there for the past year. 3. 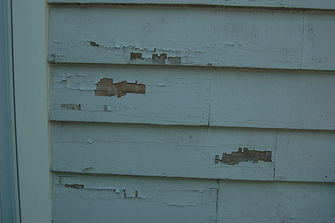 You must own and live in the home to be renovated. To receive an application for "A Brush With Kindness" or to get more information about volunteering on "A Brush With Kindness" projects, contact the Habitat office at 251-867-0095 or habitat@escambiahfh.org.